Gabala Archaeological center is located in the village of Chukhur Gabala, some 25 km. from the regional center. It was built on the ruins of ancient city and early capital of Caucasian Albania. The oldest findings from the site belong to the 4th century B.C. Moreover, there are some evidences that the city continued its operation until the 18th century. Overall, the archaeological center consists of three research areas based on the historical period they reflect: “Gala”, “Salbir” and “Chaggalli”. The Chaggalli settlement (50 ha) reflects the city life of ancient Gabala in the 4th century B.C. It is the oldest and biggest part of the center. Throughout the history, it seems there were multiple gaps in occupation. Excavations of old burials have been the important part of the research here. The inventories of these burials include glass items, weapons, armor, women jewelry and stuffs made from ceramics. Other two parts of the center are Salbir settlement (1-10th century) and Gala settlement (1-7th century). Throughout its 2200 years old operation, the city shifted its location multiple times due to the invasions and natural disasters. This also explains the gaps in the history of Chagalli settlement. Salbir settlement is believed was founded by Sabir tribes- a nomadic group of people. They passed to Albania from North in early years of the 1st century and founded the settlement. As a result of the archaeological work, in Sabirli settlement the researchers discovered the remains of old city, defense walls, antique catacombs, pool, water supply line, ovens, Christian graves, cake beads, all belonging to the 2nd century. One of the most magnificent monuments of the Gabala Archaeological Center is the Walls of an Ancient Fortress. It is located in Salbir archaeological zone. These walls were part of the complex defense system to protect the Gala area. The structure and appearance of Fortress walls are different from other medieval fortifications. The people involved in the construction used 15 different types of different bricks in construction. They created a rare architecture by skillfully utilizing the measure and arrangement of burnt bricks. 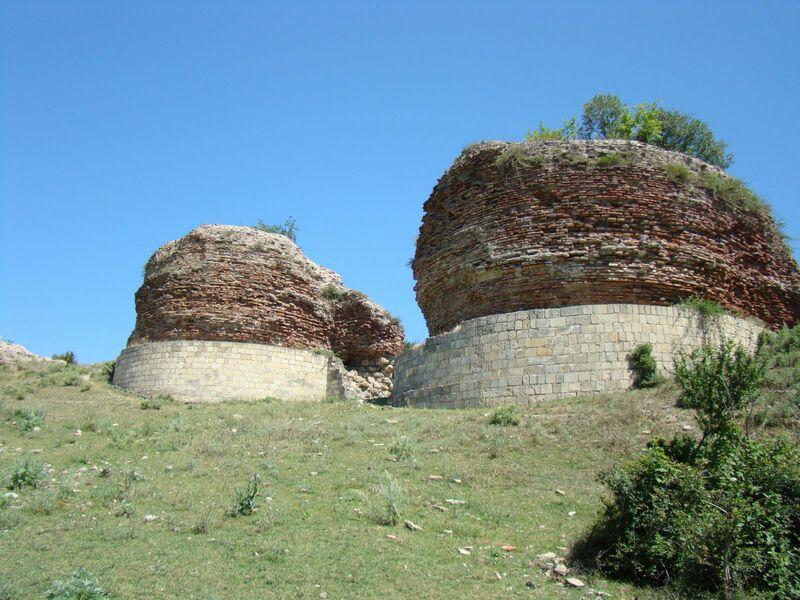 The fortress and overall, the archaeological site admire those who visit Gabala.